Well, we've rushed into the Cathedral and done a slight right turn. Unlike the rest of the City, the Cathedral is aligned East-West, well nearly. These queues of people are trying to get into the main entrance. 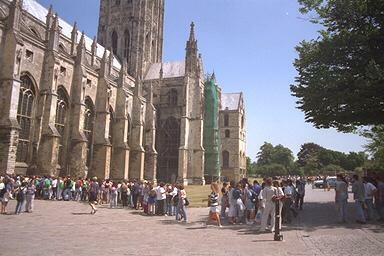 This photo was taken at one of the busiest times of the year for the Cathedral.